The Park was used as a training school by a variety of establishments after the war, and was finally decommissioned in 1987. The Bletchley Archaeological and Historical Society joined together with an enthusiastic group of former code-breakers to form the Bletchley Park Trust, and they opened the Bletchley Park Museum in 1994. ‘. . . The notice of the visitor is first attracted by a large sunken garden, occupying about an acre, surrounded by a belt of trees and shrubs . . . . Through the trees a flight of steps leads to a lake, which is invisible from below, but at the top of the steps it is worthwhile to pause and look back at the beautiful view to be obtained at this point. ‘The way to the lake leads past another enclosed garden, of a different character to that just left. It is almost hidden among the trees and shrubs, and occupies the position of what was once a rubbish heap! It is very tiny, but is so charming that it well repays the trouble that has been spent on it, and the inspiration that first conceived it. In the centre is a little pool with a marble fountain which was brought from Cairo – a fine specimen of ancient Egyptian craft and skill. Graceful Water Lilies inhabit the waters of the pool and reflect themselves in the still surface. ‘The stone pathways which radiate from the pool are formed of irregular slabs, in the interstices of which low-growing alpines and old-fashioned herbs are cunningly planted. The little garden also accommodates a rockery, furnished with a variety of choice alpines. . . . I visited Bletchley Park in 2009 and was rather intrigued by what I found. I got the definite impression that Pulhams had been there, but this was not Pulhamite as it is generally known. 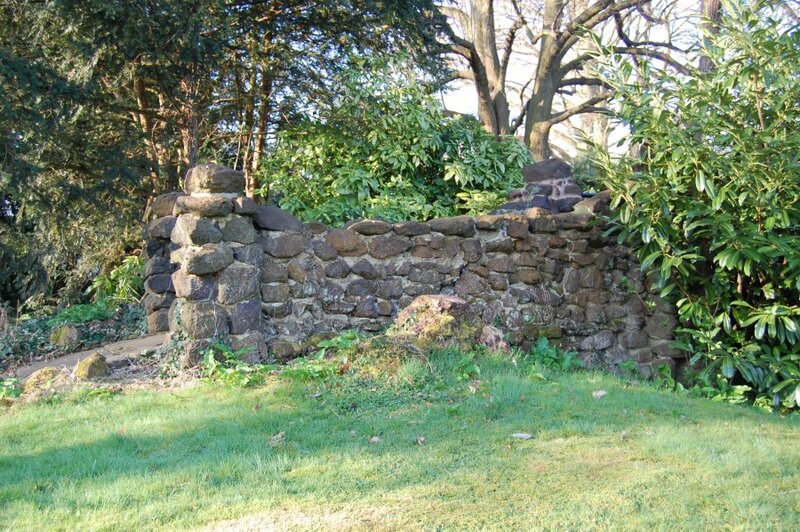 Fig 1 shows a small section of a wall along the edge of a shrubbery, and, although there is something vaguely familiar about it, it is not the sort of structure that one would associate with the Pulhams. It looks much more like a collection of (probably) Pulhamite rocks – of very similar size – that have been stacked up and made into a section of wall. The Broxbourne craftsmen would surely not have constructed a simple wall like this. The mortar that locks the ‘stones’ together reinforces this impression, and this feeling is supported even further on the way down to where the sunken garden used to be. 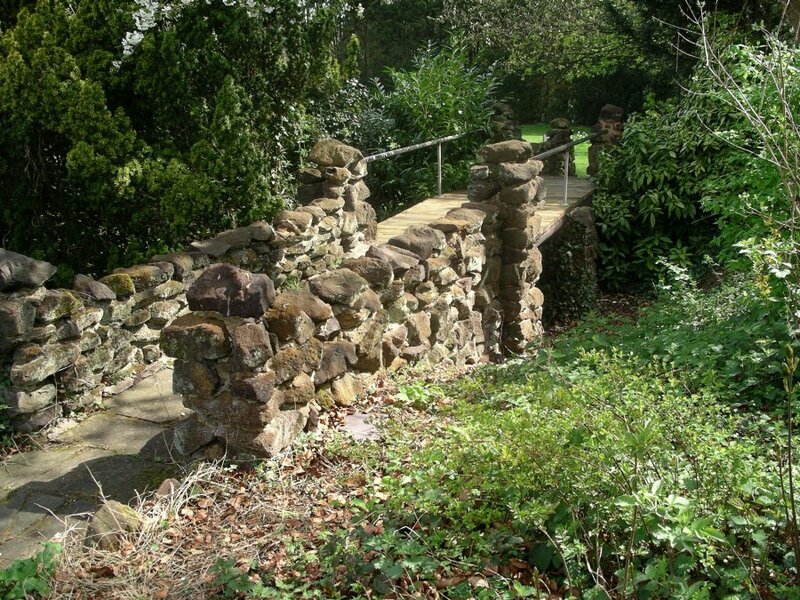 Take a look at the bridge that crosses the gulley in Fig 2 – these may be Pulhamite ‘stones’, but I have never seen a Pulham bridge like this. So what happened here? My conclusion is that there were probably some delightful Pulham features here when the gardens were constructed, but something rather drastic must have happened since. Perhaps Mr Faulkner was in the process of knocking them down when the Government intervened and requisitioned the property, or perhaps the Enigma code was not the only thing broken by the wartime residents? I would prefer to go with the former suggestion, but can only imagine that, since then, someone must have gathered together heaps of the broken Pulhamite stones, and decided to attempt a ‘reconstruction job’ with them. There was one thing that I did find encouraging, however. There are the remains of a small terrace along the side of the house, part of which is bordered by a very familiar-looking balustrade. This is pictured in Fig 3, inset with an illustration of the Ripley Balustrade, taken from the Pulham Garden Ornament Catalogue. There is not much doubt about that, which helps to confirm that the Pulhams really did have something to do with these gardens – it is just a great pity that the present-day visitor is unable to enjoy their original beauty. 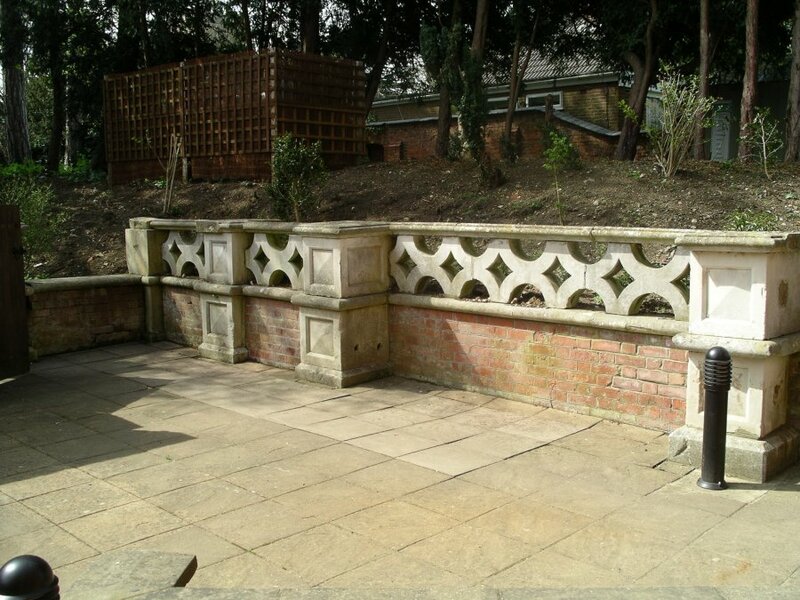 Posted on July 1, 2014 June 4, 2016 by Claude HitchingPosted in Sites Month 2Tagged . . James Pulham and Son, Bletchley Park, Bletchley Park Trust, bridge, Enigma Code Breakers, Herbert Faulkner, Herbert Leon, Pulham's Ripley Balustrade, pulhamite.